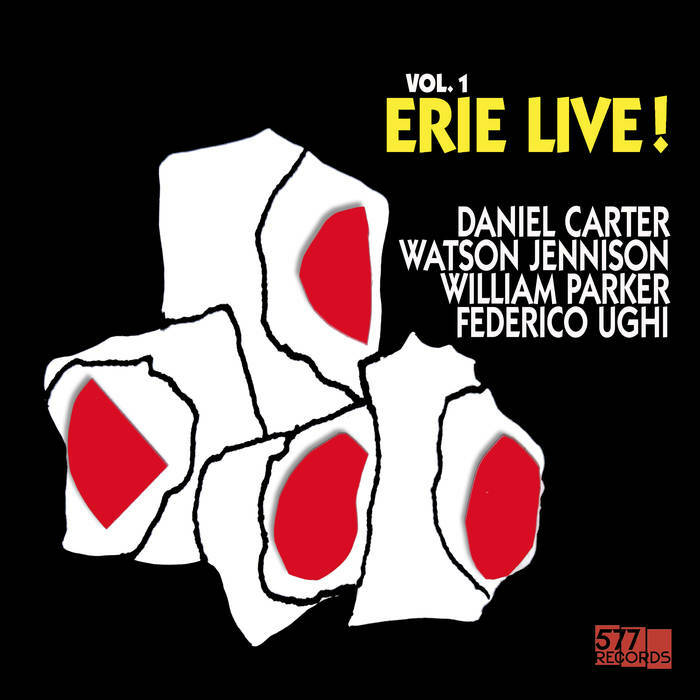 Daniel Carter, William Parker and Federico Ughi have been playing together since 2005, the year in which they recorded their first album The Dream. The band has performed regularly in the US and Europe ever since, gaining great success, with a 2010 European tour throughout Portugal, Spain and Italy that resulted in the live album Navajo Sunrise (2012). In 2015 the “monster trio” started to rehearse with multi instrumentalist Watson Jennison (Toronto, CA). As a quartet, the band toured the US and Canada in 2015. This album documents the concert in Erie, PA. This is cosmic music at its best, showcasing the ability of one of the most successful bands in today’s New York avant-garde scene to perform in a wide array of venues with an incredible range of dynamics that go from super quiet to bombastic-fire.